I'm back with a new installment of the Foreign Film Series. I wanted something light and fun for my weekend movie watching, and came upon this recent release (December 2014) from Korea. Directed by Kim Hong-sam. We start of with a cool skyline of Seoul, South Korea at night. 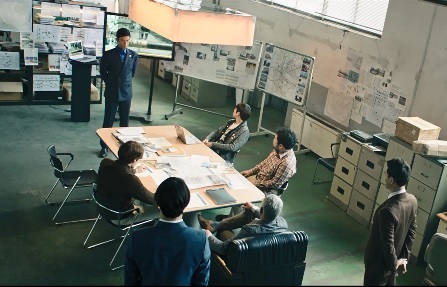 We follow a group of guards looking into a blackout, which turns out to be a ruse created by our main lead Ji-hyuk. He's in an office trying to steal a strange looking sculpture from a safe. After some acrobatic maneuvering, Ji-Hyuk is able to escape with the sculpture intact. He meets his friend Goo-in and rather than try to sell off the original sculpture, Ji-hyuk destroys it and makes a replica. Strange? Yeah, it was for me. There's something fishy going on, but we move rather rapidly to their next con. 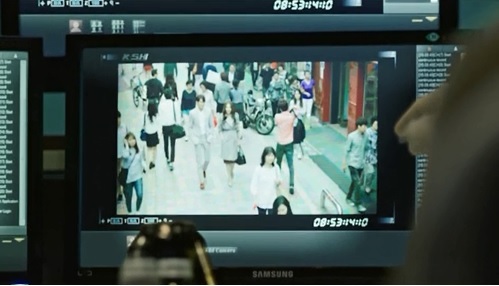 The basic premise of the film, from here on, is the theft of $150 billion won (about $132 million) from Incheon Customs. Our players here are the planner, Ji-hyuk (Kim Woo-bin), the hacker, Jong-bae (Lee Hyun-woo) and the cuddly muscle guy, Goo-in (Ko Chang-seok). *In order at the picture at the top. These are our basic good guys who, being the nieve thieves they are, make the bad move of stealing from the mob. 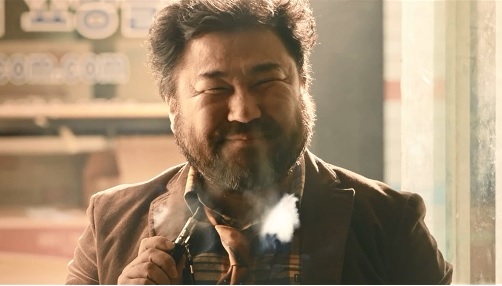 From Boss Cho to be more specific, played with appropriate smugness by Kim Yeong-cheol. 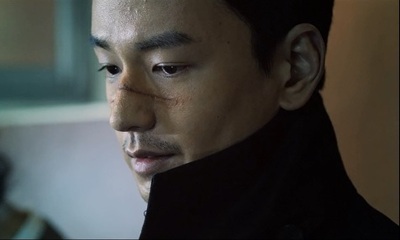 Then we have his right hand man, Lee Jo-hwon (Lim Ju-hwan). Lim Ju-hwan does a fantastic job of chewing up scenery whenever he's on screen. He steals the show with his pained characterization of a right hand man to the devil and plays the loyal servant to a tee. As luck would have it, Boss Cho is in dire need of a group of con artists to steal from some politicians that have done him wrong. 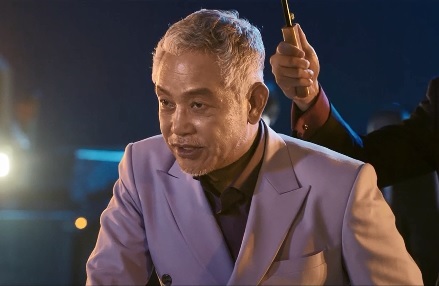 So Ji-hyuk and the gang get forcefully recruited to steal a secret stash of cash from Incheon Customs. It's no easy feat of course, not only is security tight, but the police are on his tail. They have some video evidence of Ji-hyuk near the jewelry store before the heist. Fortunately these cops aren't all that competent, but they serve their purpose. Don't most heist movie cops do? Anyway, what follows is planning for the theft of the money. It's very reminiscent of most heist films. I would have liked something new or fresh, but I supposed that if you are involved in a theft or con, you have to plan right. And of course no film would be complete without a damsel in distress, or some sort of love connection between the lead and a very pretty girl. In this case played by Jo Yoon-he. She has some sort of connection to Ji-hyuk, besides being a useful mark. The problem is...the whole film's problem is that the plotting is shoddy at best. When we should be getting great sequences we get too much talk and a preponderance of explanation. Nothing gets well connected at first, only elements thrown around. 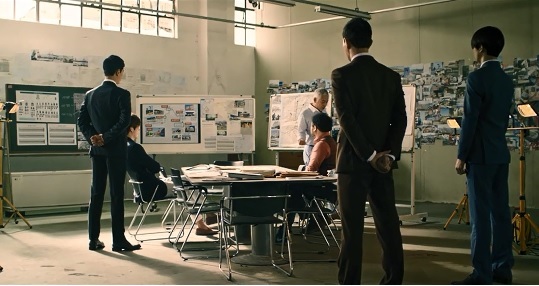 We get the con artist, the mob boss and the random chick-and for nearly half an hour we know not how any of this is connected. They are left dangling. Especially Jo Yoon-he's character, whose "importance" isn't told until the very end and without much emotional meaning. Her character should have been given more heft for the audience to care. Especially given how she was connected to someone important in Ji-hyuk's life. Even the end felt a bit...meh. I wasn't surprised, but rather expected that ending to go the way it did. I was expecting a lot more. I was expecting excitement and it fell rather short for me. It was too simple a heist story, with no new elements that I haven't seen in other films already. The only thing I really enjoyed was the relationship between Ji-hyuk and Goo-in. The relationship between them is fantastic. The big brother-little brother dynamic between them worked really well. They are both good actors who make the rapport work. They seemed to have fun working off each other and it looked like a genuine good relationship. I especially liked Goo-in, who had a smile on his face practically the whole time. He was wacky and kooky and that worked for the best. 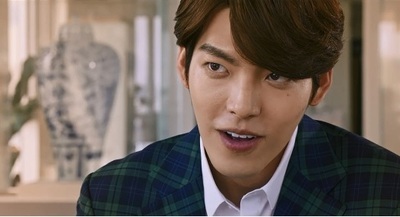 Not to mention Kim Woo-bin's turn as a cocky kid with a chip on his shoulder. Thought we don't get a full backstory on him, the glimpses we see make his character fun to watch. These two really made the film watchable for me. Honestly, I was hoping for more, but I can't completely bash this film. The acting by all is great, even in the most boring of scenes. While nothing new comes from the story, if you can get your hands on it, watch it. It is lighthearted and a great palate cleanser.